Home / Shop / Three in One Package! An unbeatable value for 3 incredible packages, save over $90! 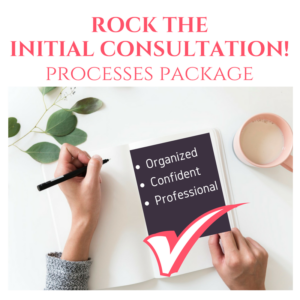 Whether you are just starting out in the business or are a well seasoned interior design professional, don’t waste any more of your precious time trying to refine your initial consultation process, because I’ve already done it all here for you. Not one, but two Letter or Agreement (LOA) templates, one for hourly services and another for design packages. 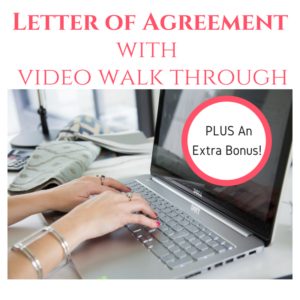 Watch me explain in a step by step walk through video details of how to present your LOA and how to communicate the terms confidently to your clients. PLUS – NEVER DONE BEFORE! 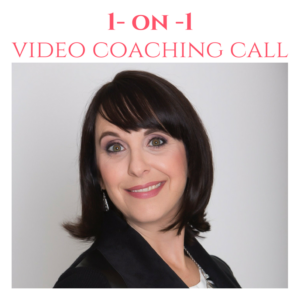 I include videos showing you how I speak to a potential client on an initial phone call and another video on how to conduct an initial consultation. Be a fly on the wall and learn how to avoid the BIGGEST MISTAKE designers are making in this first meeting! There are also 4 scenarios where I show you how to deal with awkward client situations such as: Asking about your discount; having friends & other family members give decorating advice; how to handle if a client who challenges your process, as well as how to deal with the ‘other half’ who may not be fully on board with hiring your extremely helpful services. Why re-invent the wheel with every new client or fly by the seat of your pants with new templates and forms with each consultation meeting? Gain more confidence & get organised NOW. 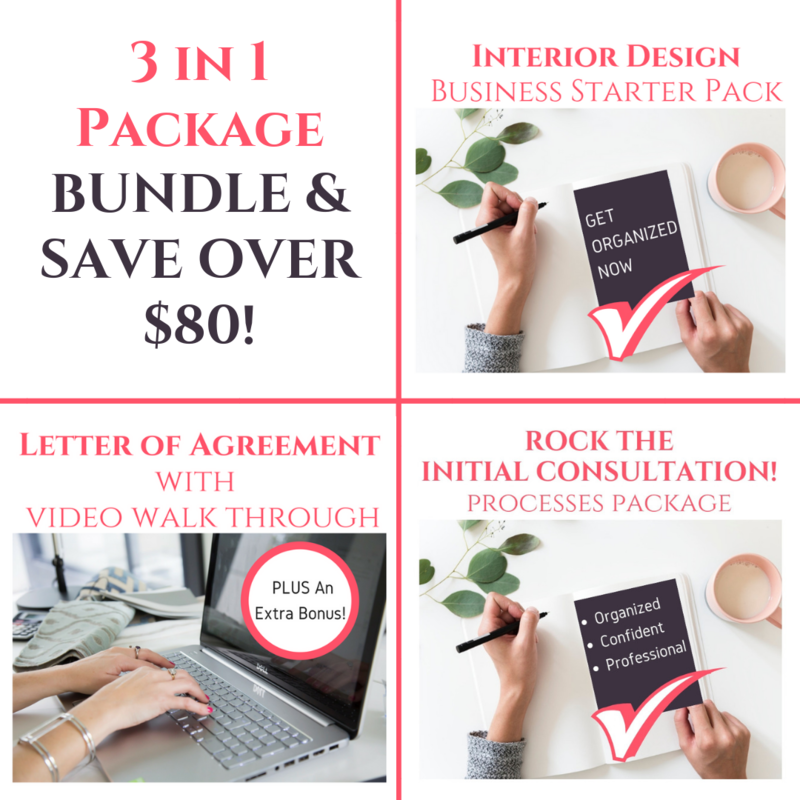 AND – you’ll also get my Interior Design Starter Pack that addresses branding your business; establishing relationships with trades and suppliers; must have tools for your business and more. The time and stress you will save yourself by getting super organised, super fast, is invaluable. 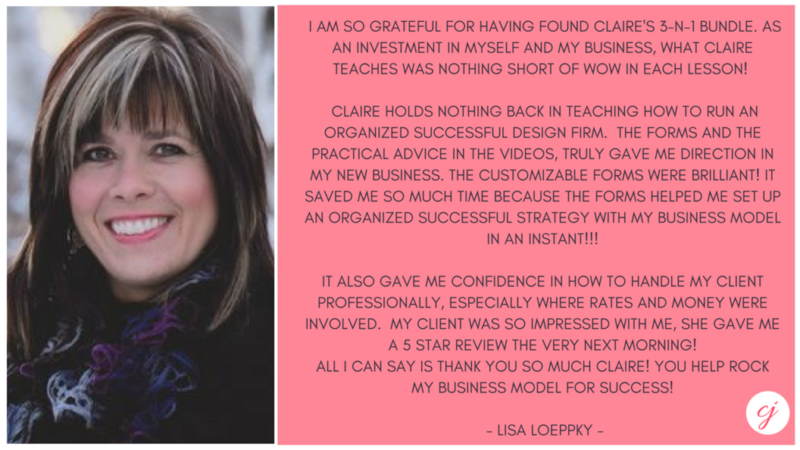 See more testimonials here for my ROCK THE CONSULTATION PROCESSES PACKAGE and see a video with more details.